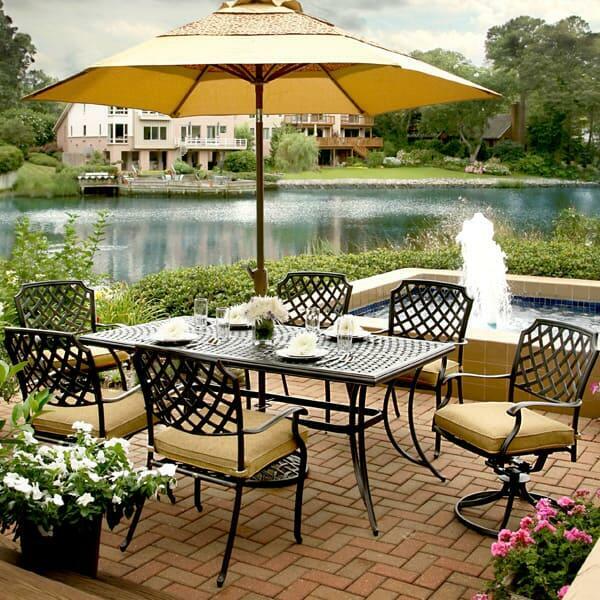 Agio is one of the world’s leaders in quality outdoor patio furniture. With a vast array of options from wicker furniture to cast aluminum furniture, Agio is committed to providing quality at an excellent value. 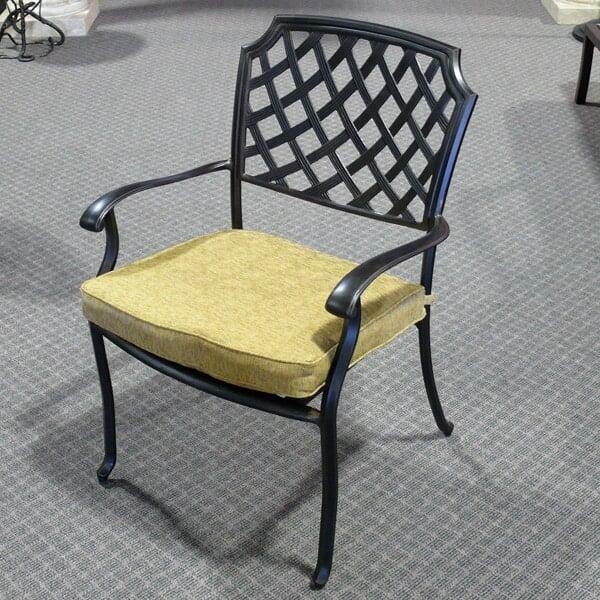 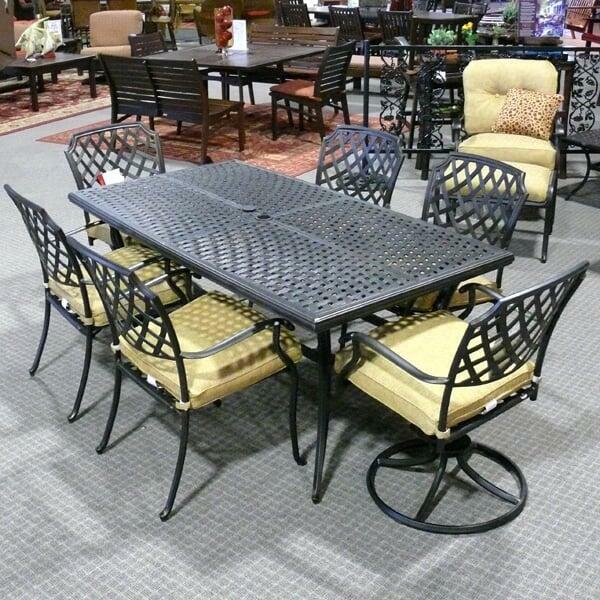 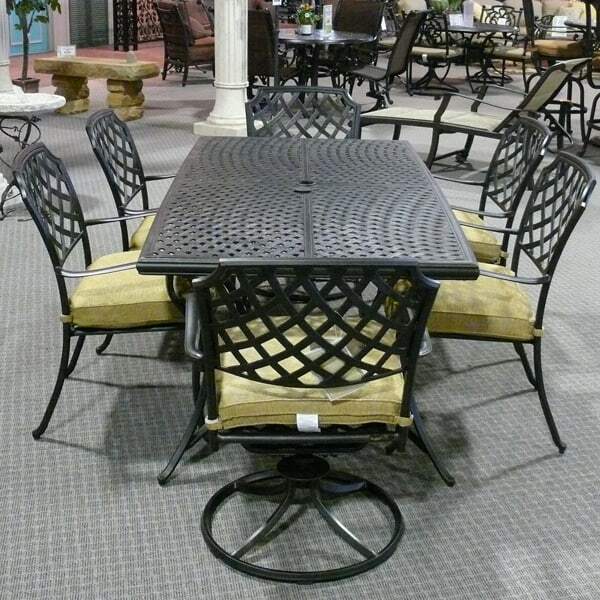 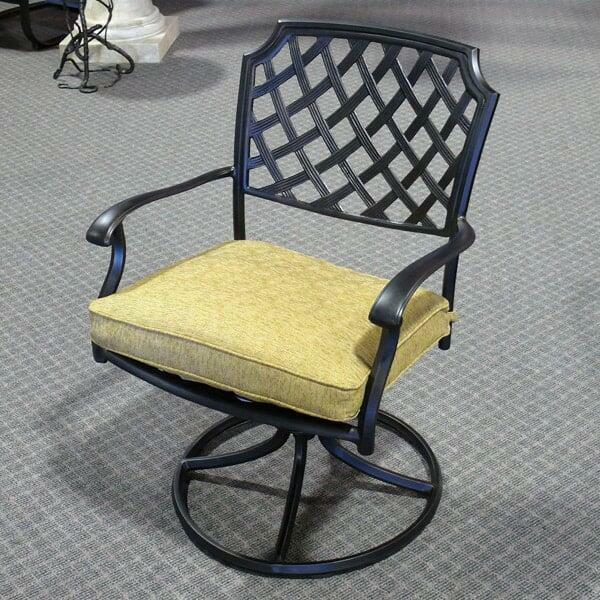 The Heritage Collection features a beautiful 60" square cast aluminum table with dining and swivel rocker chairs. 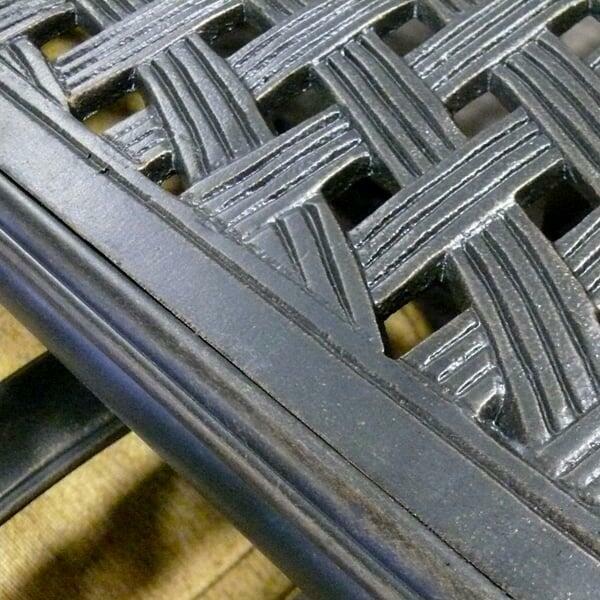 The all weather patio cushions are designed to stand up to sun and rain and they are double welted giving them a nice tailored look. 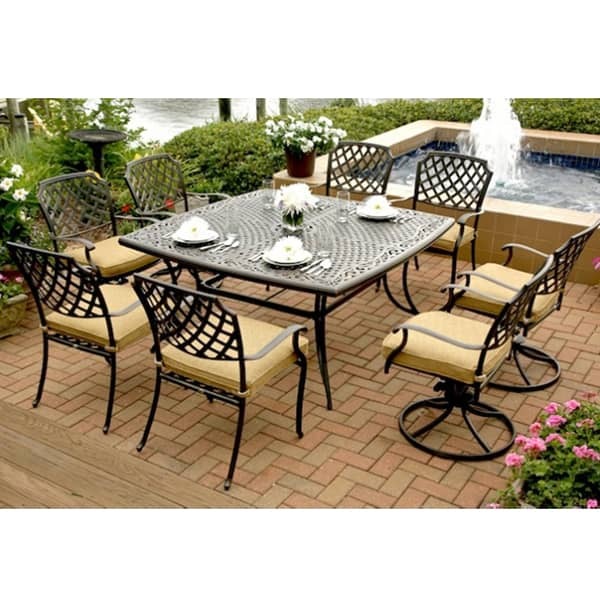 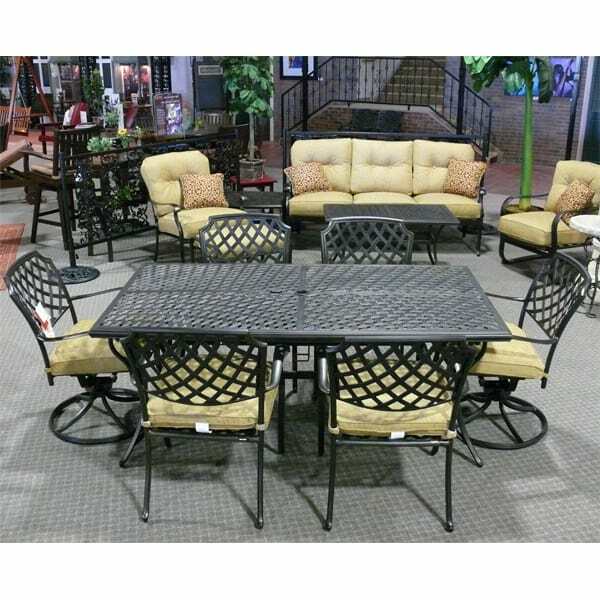 This patio set has an attractive design, comfortable seating and it is an incredible value. W 25" x D 20" x H 35" SEAT HEIGHT 15.5"
W 25" x D 20" x H 36" SEAT HEIGHT 15.5"
W 60" x D 60" x H28"
Also available in matching Deep Seating, Fire Pit and Bar Height Collections.